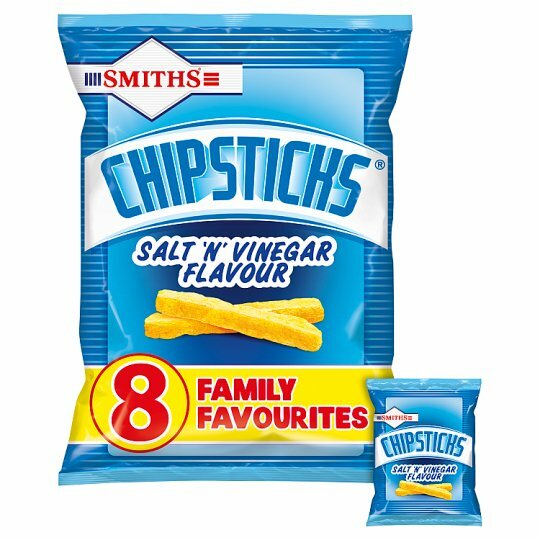 - These crispy, crunchy sticks, full of your favourite Salt & Vinegar flavour, are as delicious now as they have always been! From humble beginnings as an apprentice greengrocer, Frank Smith went on to establish his own snacks company in 1920. Smith's crisps soon became a household name - a staple in every soldier's ration bag in World War II. By 1949, nearly every pub in Britain stocked Smith's and it remains a household name to this day, famous for creating many iconic snacks including Frazzles and Chipsticks.